If there is a place where you can truly hear the authentic sound of the guitar, the vihuela and the guitarrón, that is the Garibaldi square. 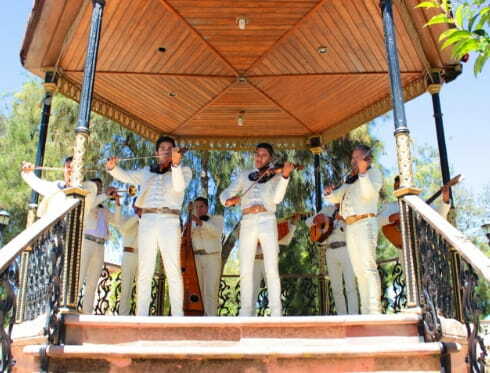 The classic serenades, such as "El son de la negra" or "Guadalajara", sound day and night at the popular place known as "mariachis square". The statues of Lola Beltrán, Pedro Infante, José Alfredo Jiménez and Javier Solís pay homage to the most illustrious singers of the Mexican song. Some of their most famous films were shot here. This square become a popular due to the opening of different pulque – a Mexican drink – and tequila pubs in 1830. 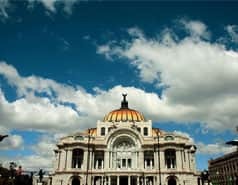 Since then, Garibaldi has always been a meeting point for mariachis and live music lovers. Folklore and popular atmosphere reign at this location. Garibaldi square is the ideal place to enjoy the Mexican night: live music, a good mezcal – other Mexican drink - and the best of local cuisine. 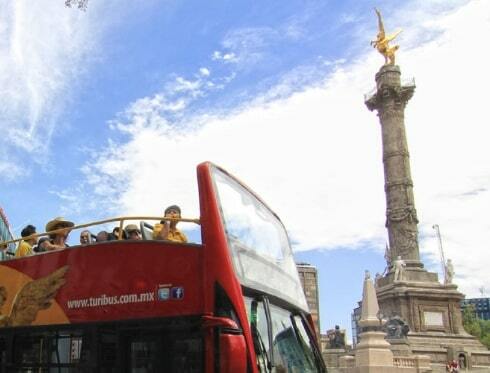 However, you can find more leisure and cultural activities in the surrounding streets, where the Mariachi school, the Tequila Museum and an open-air cinema are placed. The Garibaldi square is located in the northern centre of the historic centre, in the heart of Lagunilla district. The stop nº2 (Garibaldi) of the Basilica route is located at this point.